Jan 3, 2018 – TORRANCE, Calif. – American Honda today announced details of its 2018 Red Rider Rewards program, which makes funds available to Honda racers based on their results in supported amateur and professional racing series. The package continues to evolve to provide support to riders in a variety of series across the country. Among the supported disciplines are off-road; amateur and professional motocross, Supercross, and Arenacross; road racing; and flat track. A number of adjustments have been made to direct funds to the racers who can most use them, for example paying deeper into the fields in several series. While the 2018 Red Rider Rewards package currently offers a total of $5,395,160, it will grow in the coming months as additional racing promoters and organizers announce their 2018 schedules, particularly in club road racing and amateur motocross. Details on payout structures and how to register can be found on the Honda Red Rider Rewards Contingency page. In the same announcement, Honda revealed that they have expanded their Red Rider Support program to include the newly announced Amateur Arenacross championship. Organized in partnership with Honda’s Arenacross team, this program will see TiLube Honda providing amateurs with access to parts and service at each stop of the Arenacross tour. 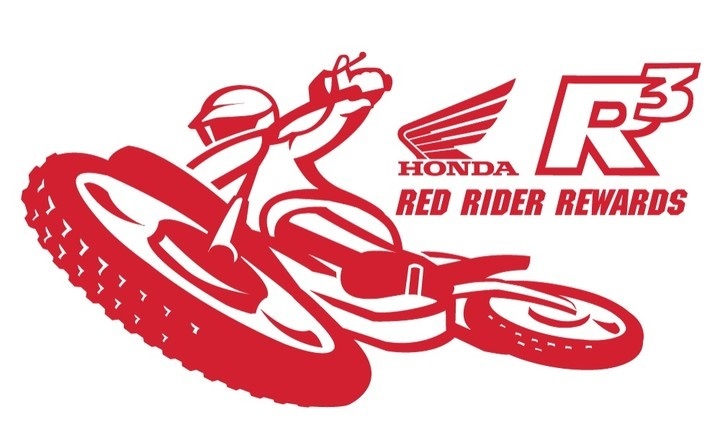 As usual, the Red Rider Support program will also provide trackside support at other amateur national motocross events, with details still to be finalized.